CONTRACTORS AT ANG MO KIO. CLIMB LADDER THEN STACK WITH BOX. You are at:Home»Caught In The Act»CONTRACTORS AT ANG MO KIO. CLIMB LADDER THEN STACK WITH BOX. 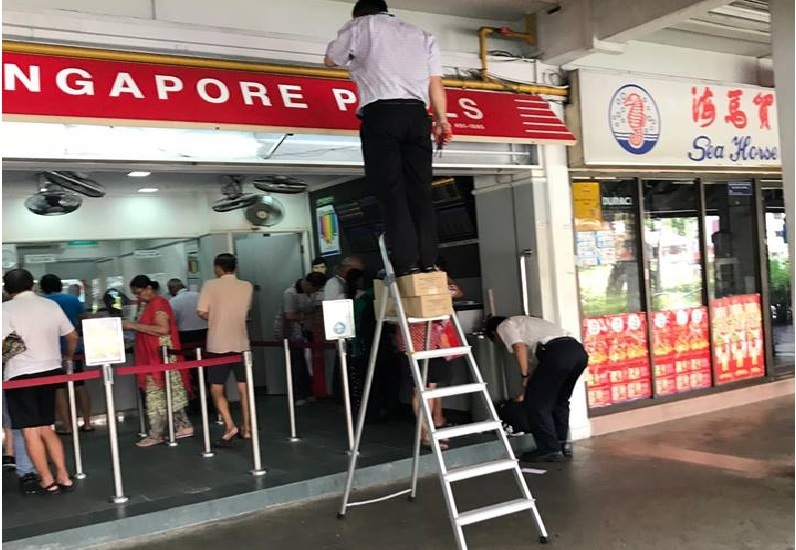 Netizens reported a dangerous act by one of the contractors who appears to be fixing the light signboard for Singapore Pools outlet located at Ang Mo Kio Ave 10, Singapore Pools. The photo was taken a few weeks ago. According to safety rule. When one person is on the ladder the other must hold it. But this contractor even more garang. No one hold plus stack with boxes to achieve height. Previous ArticleINFAMOUS THOMAS CHUA MADE DEATH THREATS TO EX GF LOVER!! !